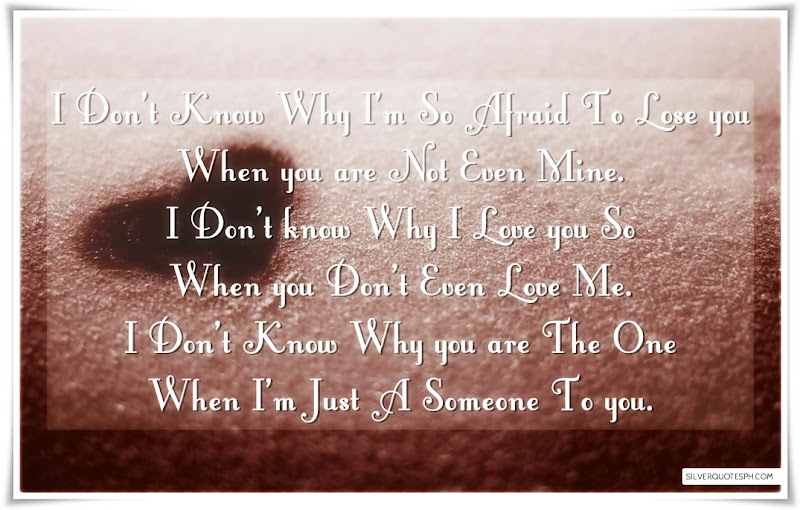 I Don't Know Why I'm So Afraid To Lose you When you are Not Even Mine. I Don't know Why I Love you So When you Don't Even Love Me. I Don't Know Why you are The One When I'm Just A Someone To you.